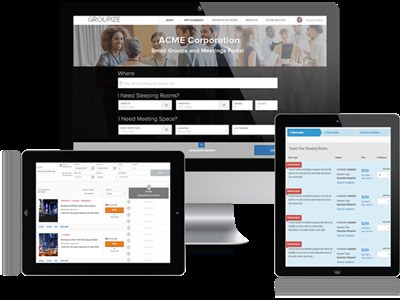 Groupize offers a Small Groups and Meetings Solution integrated to Travelport via the Universal API. 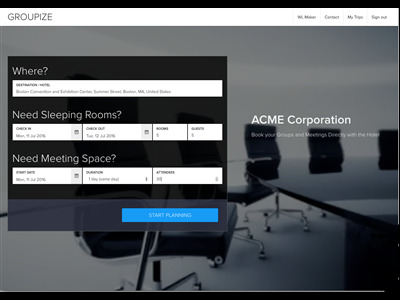 The Groupize Booking Engine automates the end-to-end management of the small group and meeting booking, requisition and management process. The Booking Engine integrates with Travelport's Universal API to offer real time booking capabilities on any device at 100,000 hotels as well as access to pre-negotiated corporates rates. 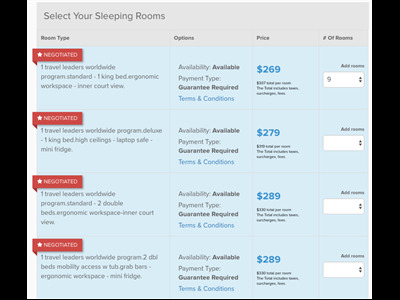 Planners can either book in real time multiple sleeping rooms (1-9 rooms) or opt to request bids from hotels for larger groups, meetings, conference rooms and food & beverages. The Groupize Platform includes a range of apps that streamline workflows and offers travel managers the ability to collaborate, select bids, manage blocks, capture expenses and find new ways to save money.